The German based carmaker is planning the introduction of the all-new 2017 Insignia model somewhere at the beginning of next year, the model being rumored to pack new powertrains. It would involve new 3- or 4-cylinder turbo engines, which would come with improve fuel-efficiency. We might thus see a 1.0-liter engine in the entry-level Insignia, followed by a turbo-diesel, presuming outputting 160 horsepower, being sent to the front wheels via a manual transmission. The automatic transmission will involve the fitting of a torque converter and not a dual-clutch gearbox. Later on, Opel would also introduce a 6-cylinder turbocharged engine, which would develop more than 400 horsepower. In terms of visuals, all we have is a couple of renderings, one of them being showcased here. 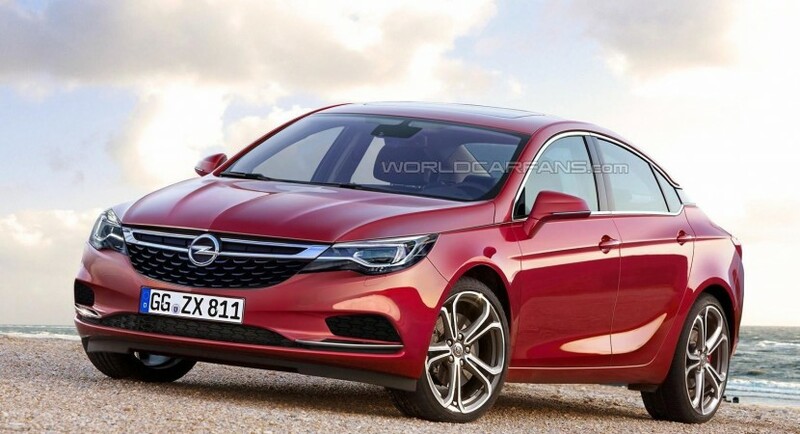 Rumors say that the 2017 Opel Insignia would be longer than the present model, resulting a 3.5-inch longer wheelbase. We should see the new Insignia with a four-door body style, coming with some design cues from the Monza concept, along with a sleeker design with slopping roofline or long overhang. Later on, Opel will also launch a Sports Tourer estate version, coming with a larger trunk and other features that it will separate it from the current version.